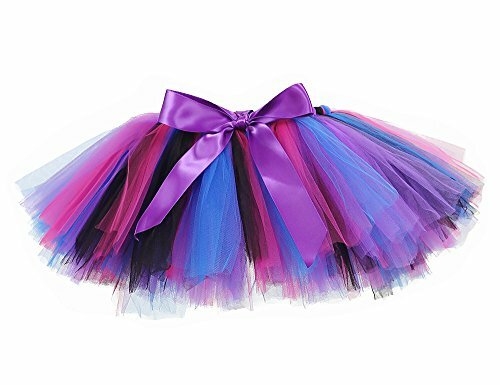 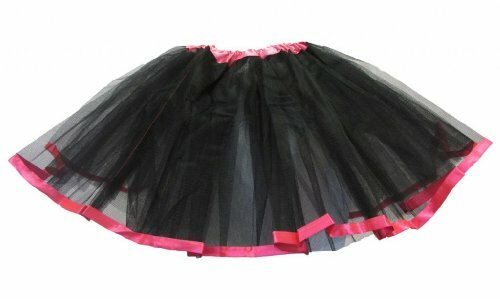 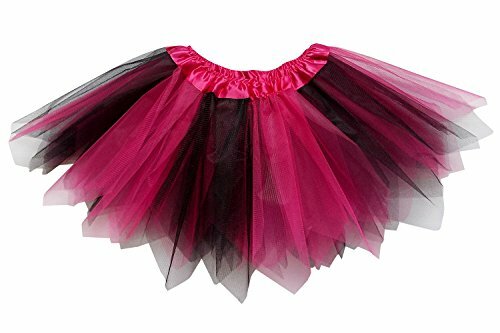 Black Hot Pink ribbon lined Dance tutu for girls ages 2-8 years. 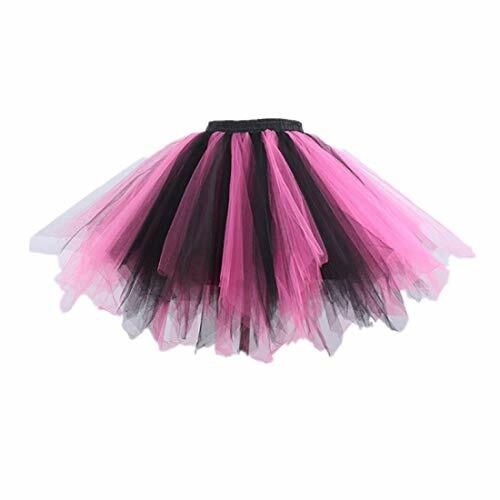 Perfect for dance practice, recitals and performances, costumes or just for fun! 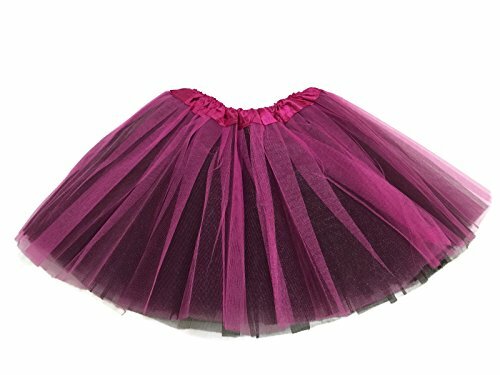 LEEGEEL is focus high quality products and great customer service only ! 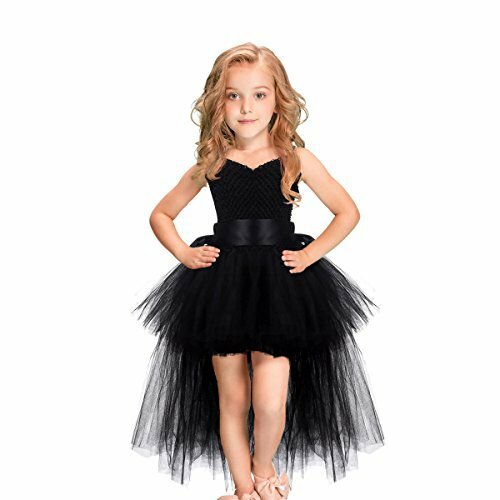 Pls see size chart below: Size Chest body length FrontSkirtLength BackSkirtLength2T 19.7" 5.5" 7.9" 14.2"3-4T 22" 7.1" 9.4" 19.7"5-6T 24.4" 7.9" 11" 25.2"7-8T 26.8" 7.9" 11.8" 28.3 Any question or issue please contact with me, I will make your 100% satisfied. 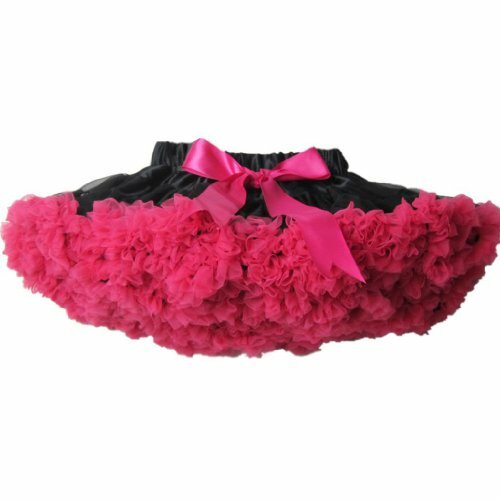 ★ You can return it and change another one in 30 days, If it does not fit. 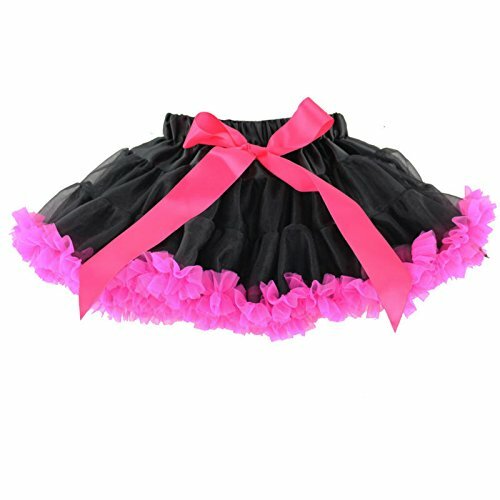 Material:Well quality Chiffon +Satin Features: Elastic waistband,two layers gauze outside,one layer lining inside Size:S,M,L,XL,XXL suit for 0-8T Girls S(40cm waist/22cm length),M(42cm waist/25cm length) L(44cm waist/28cm length),XL(46cm waist/31cm length),XXL(49cm waist/34cm length),have 1-3cm size error It is suitable for your baby to wear in dancing, in parties, in festivals or in daily life.